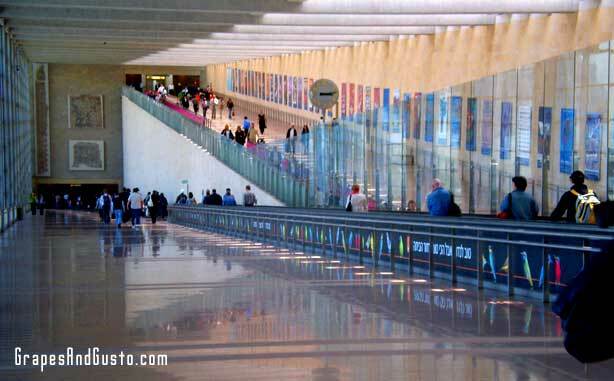 Ancient artifacts are displayed amid the sleek modernity of Israel's Lod Airport. 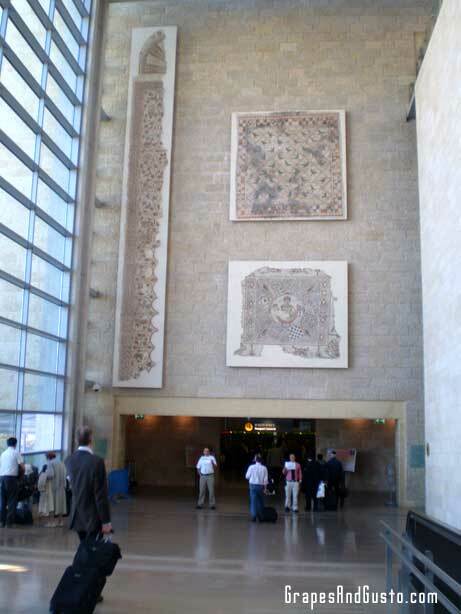 Israel’s Lod International Airport, just outside of Tel Aviv, boasts a light, airy and spacious interior, and my favorite touch: actual ancient artifacts displayed throughout the walkway area. It is always fascinating to see the old and the new merged together – going much further back than the Louvre’s “old/new” addition of the glass structure, and even older than the Medieval buildings of Florence being used as gelato bars. Being juxtaposed with truly ancient artifacts can, at once, make us feel like we, too, are just ‘passing through,’ dwarfing our own existence. At the same time, there is something continual and relevant about this coexistence, reminding us that there are still many things that stand the test of time, of history, and of cultural preservation. Our spirit and energy guarantee that we are not nearly as flimsy as our fleeting, physical lives would have us believe. And that is uplifting. A special energy exists in a land that is so ancient, its decor is comprised of local archaeological finds.